Can anyone shed any light on the history of this casualty? I don't suppose it helps much but a Donkeyman was a Merchant Seaman. A Geordie Japanese who died in Argyll! 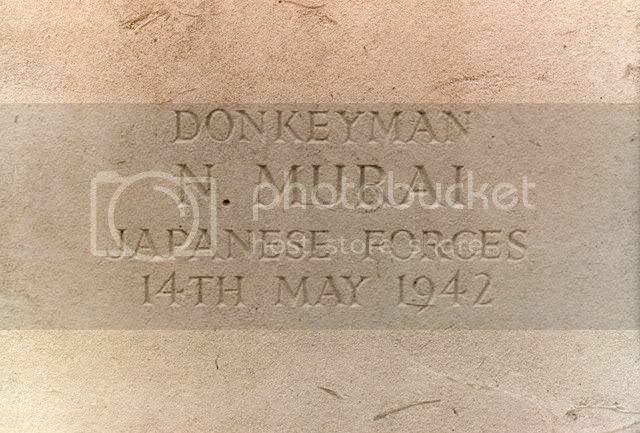 "Transfer of Japanese merchant seaman from Isle of Man to Knapdale POW camp"
So Donkeyman Murai was not alone in Knapdale. I'm wondering if it was the same guy? and the camp is indeed Knapdale or in some references Knapedale but little seems to be known about it. Achnabreac is at Lochgilphead where the camp was. Thanks for your efforts. Wonder if Marui was serving in the British Merchant Navy and was interned as an alien following Japan's entry into WWII in December 1941 (?) In which case the headstone inscription "Japanese Forces" is incorrect. I think that your idea about internment is probable and would tie in with the NA record. I also suspect that as Nisaburo was in a POW camp when he died it would have been easy or convenient to categorise him as a member of Japanese Forces. 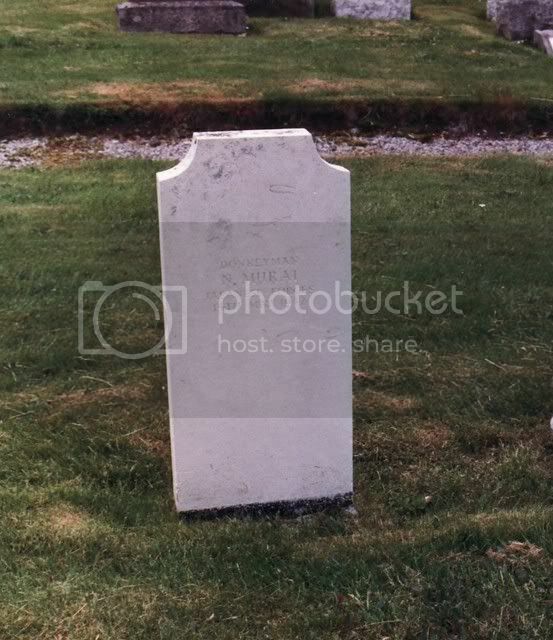 I meant to ask - does the photo of the gravestone give any idea as to provided it? This is strange. As a merchant seaman serving on British registered ships and having a home address in England you would think he would be classified as an Enemy Alien hence his previous location -the Isle of Man Internment Camp. To be transferred to a PoW camp along with other Japanese Merchant Seamen did they have to be classed as being in the Imperial Japanese Forces? Japan signed but did not ratify the 1929 Geneva Convention so does that mean Britain could reclassify Japanese subjects at will or was there more to it? I don't suppose there was a large number of Japanese civilians in the UK in 1941 anyway. Often overlooked is the experience of a small number of Japanese internees. This book explains the background and details of some of those interned. But it is £80 - so finding a copy in a big ref/library might be the only option to find more info. I did look on ancestry and was surprised with the number of hits that the name Murai produces. I have photographs of N Murai's grave but I don't have the expertise to upload them to this site. If you would like to email me at: petermoran(at)fg02cyt.fsbusiness.co.uk, I will forward the photos to you and perhaps you can post them on the site. The SS Manchester Regiment of the Manchester Line sank SW of Cape Race, Newfoundland after a collision with the SS Orepesa. 9 lives were lost. I'm guessing that Murai's inclusion is because his death occurred before the declaration of war with Japan. There may be a family connection between Nisaburo and Tohichi but Murai seems to be a common Japanese name if the number of hits I got on Ancestry is anything to go by. Excellent, many thanks for posting Peter's photographs. I guess the difference between the two is as you suggest Ken. In 1939 the first Murai was a British Merchant Seaman but as soon as 7th December 1941 happened the second Murai was an enemy alien. Note they are of a similar age. I'd still like to know when he moved from being a civilian merchant seaman to being a member of the Japanese Forces.